Growing up in post-World War Britain, our early musical diet was Housewive’s Choice or Workers’ Playtime musak. There was little adventurousness. How many times can you ask “How Much Is That Doggie In The Window?” or sing about Love and Marriage Going Together Like A Horse and Carriage? Rock and Roll emerged in my early teens, but until the earnings from my paper round gave me a little financial independence there was little room for musical exploration, so new sounds were still dependent on what the BBC deemed safe for our ears. After all, the establishment didn’t want a revolution did they? UK rock and roll was ersatz, yet still invigorating as we teenagers, a newly identified consumer group, spent our pennies. Pretty boys developed quiffs and gained macho names such as Fame, Fury, Power and Wilde. 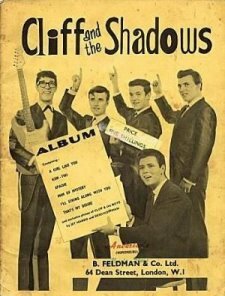 And Harry Webb metamorphosed into Cliff Pilchard, now Sir Cliff, and went on a UK tour backed by the Drifters, soon renamed the Shadows, Britain’s leading pop group in the years immediately before the Beatles. The Shads were revolutionary in their line up of three guitarists, lead, rhythm and bass plus drums, the lineup that has been the ‘norm’ for pop and rock groups ever since. On Tuesday, Tony Meehan died, aged 62. He was the Shads first drummer on their hits such as Apache and FBI. He later scored hits with Jet Harris, the Shads first lead guitarist. What I hadn’t known about was his work as a record producer with the likes of PP Arnold, the American singer-songwriter Tim Hardin and Roger Daltrey of the Who and that he led The Tony Meehan Combo. R.I.P. Tony, a hitherto forgotten music hero. 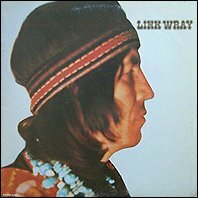 Another unfashionable music hero was Link Wray, the original master blaster of rock’n’roll guitar, who died on November 5th aged 76. Jeff Beck, Jimi Hendrix, Marc Bolan, Neil Young and Bob Dylan have all cited Wray as an influence. Link himself was influenced by, and admired guitarists like: Tal Farlow, Chet Atkins, Django Reinhard, Jimi Hendrix, George Harrison, Frank Zappa and artists like Elvis Presley & Hank Williams. Like me, you may not have much, if any, of Link’s music, but keep an ear out for the soundtracks of these recent films: Pulp Fiction (Quentin Tarantino), Desperado and Road Racers (both Robert Rodriguez), Independence Day, Confessions of A Dangerous Mind, Breathless and 12 Monkeys. Two seminal musicians of my youth. In my youth, I worshipped Jimi Hendrix and saw him live in San Bernardino in 1968. How he could play the guitar so amazing, when totally stoned, was mind boggling. Also saw Led Zeppelin and Jethro Tull there at the Swing Auditorium. I was a bouncer at a door and made $5 per night, plus a free show.